Hold onto your pencils cases, stationery lovers. This edition of Sluttery by Post is especially for you. 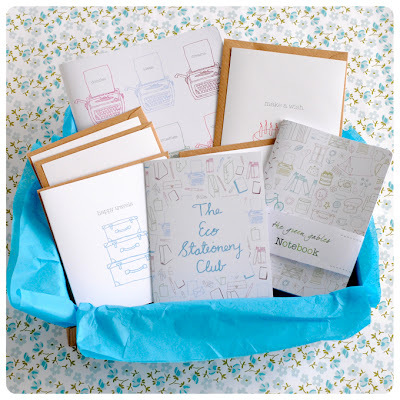 The Green Gables Stationery Club is a thing of college-ruled dreams. 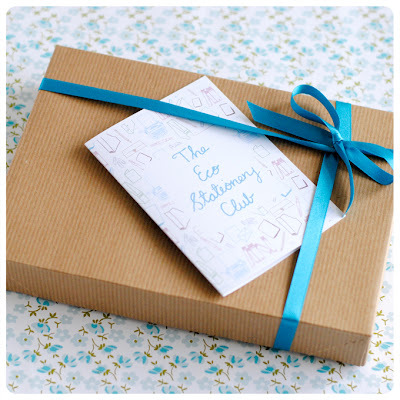 Each month The Green Gables will send lucky recipients a gorgeous box of stationery. You start off with a bumper pack, which has an A4 size calendar, an A6 notebook, two greeting cards and three postcards with envelopes inside. 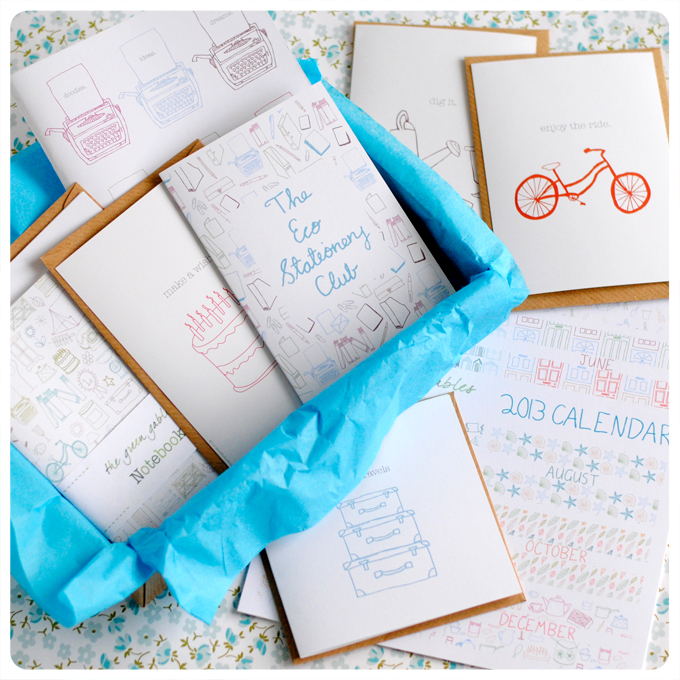 Then every month after that, you'll get an A5 notebook, two greeting cards and three postcards with envelopes from their range, all different designs. Everything comes wrapped in gorgeous packaging and ribbons (because all amazing parcels have to come wrapped in amazing packaging). The initial bumper pack of stationery is £18.95, and then you'll pay an extra £26 for three more months, or an extra £66 for six months. And if you're not in the market for a subscription, you can buy their stationery individually. I really want this camera notebook. And this star sticky tape. And these suitcase postcards. Everything, really. Thanks to @Peachesancream for the tip-off. I bet she has ace stationery. This looks beautiful - maybe it would encourage me to actually write all those letters I mean to! I knew you'd like this! Go on, sign up. Get writing that secret book that's in your head. Oh my word, my dream present to myself.